Ms. Bhavna Ramrakhiani, through the Ahmedabad Community Foundation (ACF) has been working to revive and restore Sarkhej Roza since 2001. 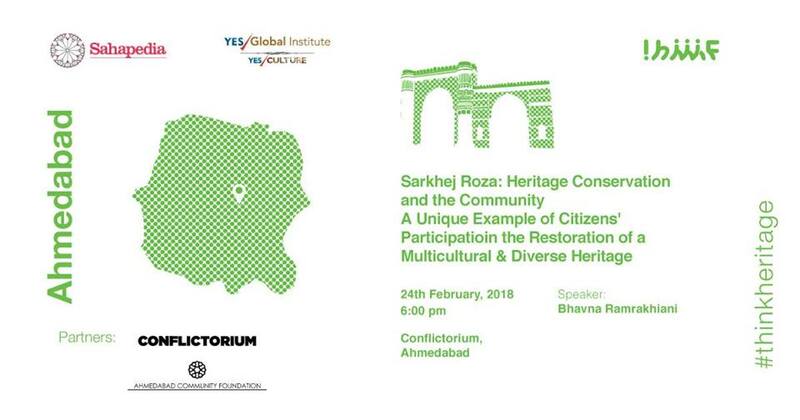 Besides striving towards bringing Sarkhej Roza back into public memory, ACF has been involved in advocating easier access and better amenities for the monument. ACF continues to work with the community living around the Roza in order to help them gain economic benefits of increased tourist footfalls. The organisation believes that it is not just the buildings that need to be developed but the community living around the monuments well. Their development is intrinsically connected to the development of the monument. The community has been an important stakeholder in all efforts for the development of the monument so far. During the course of this Baithak, Ms. Bhavna will share with us the various efforts made to involve citizens groups in the development of the Roza.